Are you on the market for a great lining material for your shoe manufactory? We have got you covered! Take a look at stitch-bonded non-woven fabric – it is definitely worthy of your attention. 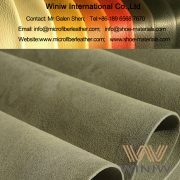 This type of material is produced by the weaving machine that bonds the web with longitudinal yarns to hold it in place. What is the main benefit of stitch-bonded fabric? It doesn’t stiffen the original texture of the non-woven cloth web, keeping it just as soft and flat as it used to be before the bonding. This is impossible with needle-punched, thermal-bonded or chemical-bonded materials. Later on, you can add acrylic resin for extra fixation or if you need to adjust the texture. 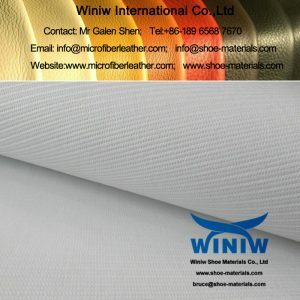 The stitch-bonded non-woven material production process is very flexible and allows adding extra treatments like water-repelling and flame-retardant. 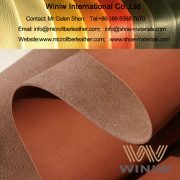 This type of fabric is great for sports-shoe linings. 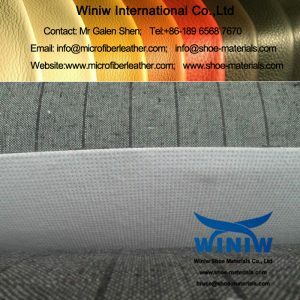 How to order stitch-bonded fabric online? Winiw Shoe Materials Co., Ltd is a Chinese manufacturer of top-quality materials and non-woven fabrics for the footwear industry. To order something from us, you need to browse the catalog, choose the product you need, and press the “Read more” button to view the details. Once you have read the description, click on the “Inquiry” tab and submit the request form. Make sure you leave correct contact information so that our customer managers could easily reach you to get your order. 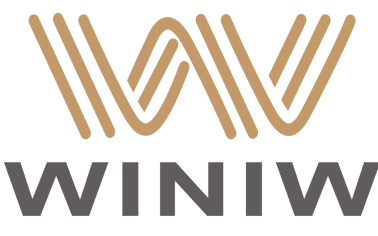 Our company’s main goal is to form long-term partnerships with our clients. For this reason, we strive to keep our products at high-quality and reasonable prices. We guarantee that once you start working with us, you will never be tempted to search for another supplier. We also offer quick worldwide delivery, so no matter where your manufactory is – we are here to provide you with the best materials! If you have any questions about our services, please contact us at any time. 1. Eco-friendly, no harmfull substances. 2. Very good tear strength and tensile strength. 1. Good tensile strength and tear strength. 2. Very good tear strength. Width: 54″, 1.37m, or customized.